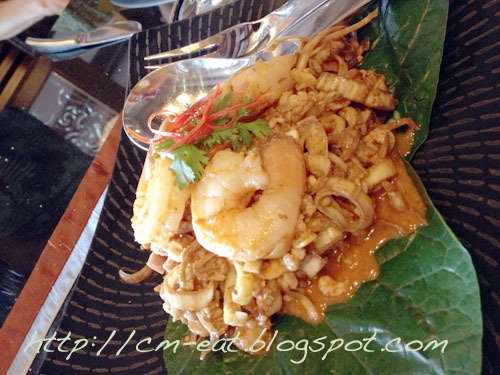 Via: Where to eat in Chiang Mai? I generally don’t really go to hotels for Thai food mainly because I assume (wrongly!) that Thai food at hotels are somehow modified to suit foreigners’ tastes. certainly the case for Mira Terrace. The Thai food there is excellent, and top quality. Mira Terrace is a very lovely restaurant in a very lovely resort. The restaurant has a deck overlooking the Ping River, or you can choose to dine in air-conditioned comfort, and still with a view of the river. Mira Terrace also serves a number of international and fusion dishes. The bill came to about 1800 baht for 5 people ($12 USD per person). Quite good value, I think for the quality and ambience, not to mention very good service. Chiang Mai – Pho Van Chane for Vietnamese food! It’s “Wintertime” in our lovely Northern city, with temperatures dropping to the teens making motorbike rides shiver our timbers. Now is the time for clement comforts, now is the time for soup. Pho Vieng Chane is the perfect place for enjoying soup and other simple Vietnamese dishes in a clean indoor or outdoor setting in the easy middle of the Old City. Pho Vieng Chane serves Pho in both Chicken and Pork varieties. The broth is light and not over- seasoned; the rice noodles are perfectly cooked; green onions, bean sprouts, and peanuts are added. Cabbage and mint leaves are available to add so you can pretend you are eating a salad. I’m all about fiber. The Fresh Spring Rolls (Chicken, Veggie, Pork, Shrimp options) were wonderful, and an essential companion to every bowl of soup. Inside each piece of rice paper is tightly wrapped lettuce, tofu or meat, and mint. The dipping sauce is first- rate- not too sour; salty, and sweet, and generously peppered with peanuts. The Fresh Spring Rolls did not fall apart while being eaten, attesting to the quiet care with which Pho Vieng Chane prepares its simple dishes. 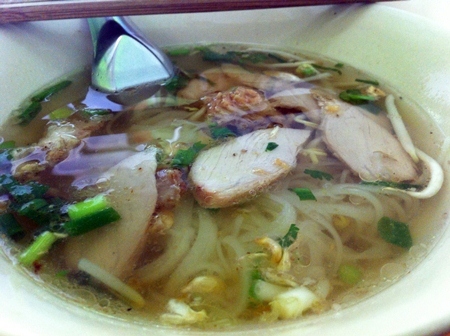 A bowl of Pho will set you back about 40THB ($1.31USD), or 60THB for a large bowl (always encouraged). The appetizers and other dishes are priced similarly so you can enjoy your soup or pretend-salad guiltfree, with money to spare. I think the food is very good, and VERY reasonably priced. Check it out! Chiang Mai, along with Vancouver, Valencia, Guam,Buenos Aires and Lake Atitlan, Guatemala, has been voted by Bankrate as one of the best places in the world to retire. The financial services group, which has come to be one of America’s best known financial advice companies says life in Chiang Mai as a retiree should be sweet. The site credits the Northern Rose as not just cheap – ‘“under 2,000 dollars I live like a king,”says Barry’ – but in terms of weather as affable as a cuddly toy. Although the prices the site quotes are maybe a little on the low-cost-living side for some people, it isn’t far off the mark. Every expat knows that somtum and sticky rice at the back of Chiang Mai University is a whole different world to eating at 5 star French restaurants. We can agree or disagree, but one thing is certain, Chiang Mai is one town that just can’t stop being the top of lists. I know many expats, including myself, who live VERY WELL on much less than $2,000 a month! God Gawd Almighty, I love Chiang Mai! While Bangkok is crazy about Japanese-style desserts, Chiang Mai, the capital of the North, has its own sweet side as well, with many small and unique design bakeries mushrooming all over the city in recent years. Bakeries in Chiang Mai have been popular for a while. Around every corner in the city, as well as at significant tourist spots, you can find bakery houses or coffee outlets that serve delicious home-made pastries. Besides quality products, most of the shops also have stunning interior decoration – from the retro 1970s and luxurious Western furnishings, to graphic art and down-to-earth art studio styles. You will be amazed at the variety. ”Butter and no preservatives” is the motto of this bakery, which shares its retail space with Wawee Coffee in Panna Place shopping complex on Nimmanhemin Soi 6, about 100m from the bustling main road. Located in a vibrant area, it is the place people go for coffee and a light meal. Bread Brasserie is famed for its fresh-baked European bread. You can find a wide selection of wholewheat bread and healthy pastries, while the shop’s show kitchen is open for customers to inspect its cleanliness. The roasted chicken sandwich (60 baht /$1.88USD) is very good with quality bread, fresh vegetables and aromatic roasted chicken. Other signature treats include the garlic bread (50 baht / $1.56 USD) and the croissants (22 baht/ $0.69 USD). 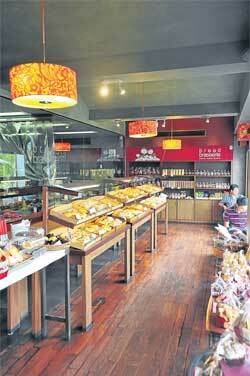 You can select your bread at this outlet, then order coffee from the adjacent Wawee Coffee. Bread Brasserie, 30 Nimmanhemin Road Soi 6, Muang Chiang Mai. Open daily, 8am-8pm. Call 053-289-229. The Thai city of Chiang Mai has long lured expats from the West. As many as 40,000 foreigners currently call Chiang Mai home, at least part of the year. The primary draw is the cost of living and medical care. Both are a global bargain. In addition, Chiang Mai boasts a more temperate climate than much of the rest of this country, as well as modern infrastructure and an abundance of Western amenities. Thailand has had its share of political unrest in recent years, but Chiang Mai has been largely unaffected. Politics aside, Thailand is the land of smiles. The gentle, unfailingly polite locals endear visitors and welcome foreign retirees. Located about 435 miles north of Bangkok, Chiang Mai is nestled in a fertile river valley surrounded by mountains. 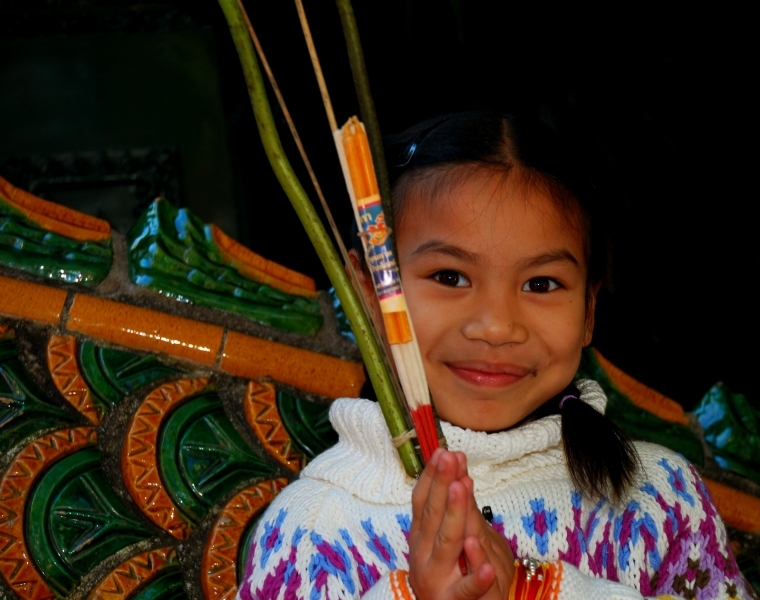 It’s an area rich in history with a culture distinctly different from that in central and southern Thailand. With a population of about 250,000, the city dates back more than 700 years and was originally walled. The Old City was an integral market and manufacturing center on the busy trade routes between Yunnan province in southern China and the port cities of Burma, where goods traveled to and from the trade centers of India and beyond. Many crafts and raw materials were made and traded here and then distributed throughout the region. Beautiful sculptures, pottery, woodcarvings, silver jewelry, and fabrics continue to be manufactured here. However, tourism has since replaced commercial trade as the major source of revenue. The heart of Chiang Mai lies within its old city walls, where dozens of ancient and modern Buddhist temples coexist alongside public and international schools and residential and commercial neighborhoods. Street markets and festivals occur almost nightly, and there’s a great array of restaurants catering to all tastes. For these reasons, many expats choose to live in the center of the city, within the ancient walls, where they also enjoy affordable rentals and close proximity to all services. Chiang Mai has grown beyond the ancient walls, and now extends for several miles in every direction. Large shopping complexes are located along a superhighway and a multi-lane, controlled-access ring road that circles the outskirts of the city. Mega-malls and big multinational grocery and department stores line the superhighway access roads, creating many shopping options for retirees. Upscale neighborhoods include the area north of the Mae Ping River, which is popular among affluent foreigners. Another well-regarded area among expats is the neighborhood around Thanon Nimmanhemin and Thanon Huay Kaew, where you can find housing in all price ranges. Located a short taxi ride or a 20-minute walk west of the Old City, this area has dozens of popular restaurants and nightclubs, modern shopping malls, and excellent medical facilities. The cost of living in Chiang Mai is reasonable, largely because the cost of housing can be a bargain. A retired couple could live here comfortably on a budget of as little as $1,000 to $1,200 per month. You could rent a furnished studio apartment in a nice area for as little as $300 per month. A bigger, better appointed place might rent for $500 per month. Another important attraction to Thailand and especially Chiang Mai is the standard and cost of medical care. Thailand has become an important medical tourism destination. Medical tourists sometimes find it much less expensive to fly to Thailand and receive treatment than to have the same procedures performed in their home countries, even allowing for the cost of international travel. You can see an English-speaking doctor for as little as $20. More serious care also can cost a fraction of what it would in the U.S. A heart bypass, for example, that might cost more than $100,000 in the U.S., costs only $10,000 in Thailand. A total hip replacement in Thailand costs around $11,000, while the same procedure in the U.S. can cost seven times as much. Retiree Paul Richard considered many options in Thailand, including Samui, Phuket, and Hua Hin. He chose Chiang Mai over those other places because of its climate and “the people seemed a lot friendlier and more helpful” than in other areas he visited. Richard also likes that Chiang Mai is home to such an established community of fellow foreign retirees. “Chiang Mai has every type of leisure activity you could want from golf, tennis, and bowling to plenty of good Western restaurants and the Chiang Mai Expats Club,” he says. The Chiang Mai Expats Club, with 650 members, is one of the best ways to become acquainted with this city and to tap into the experience of retirees already living in the area. You could also meet new people at a Lions Club, a Scandinavian Club, an Alliance Française, a Writers Group, a Flying Club, a Radio Amateur Society, and a Rotary Club.